First Asset for Unity3D available! 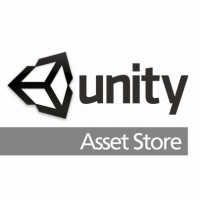 Since friday 6th, 2013 our first asset for Unity is available. 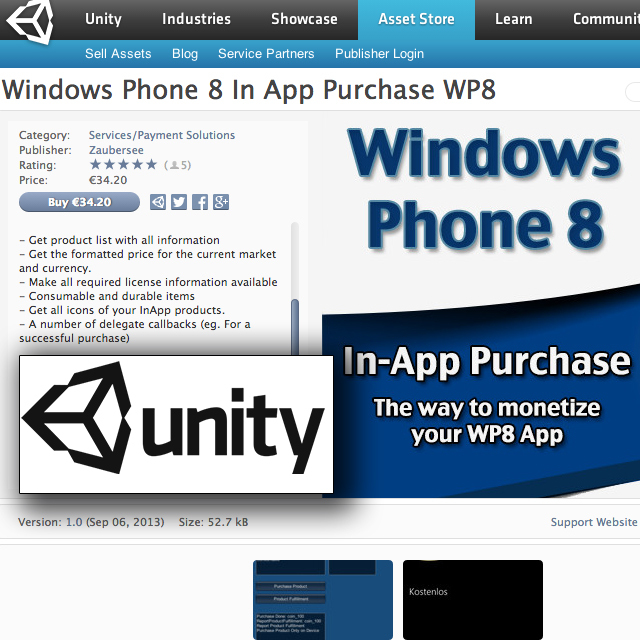 In the past we had the problem that we had to spend a lot of time to integrate InApp Purchase to our WP8 apps. So we decided to make an asset for all developers to accelerate this process. 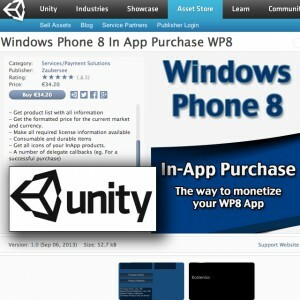 With this asset is now a quick implementation possible for InApp Purchase in your Windows Phone 8 app. – Get the formatted price for the current market and currency. – Get all icons of your InApp products. Check it out at the UnityAssetStore!